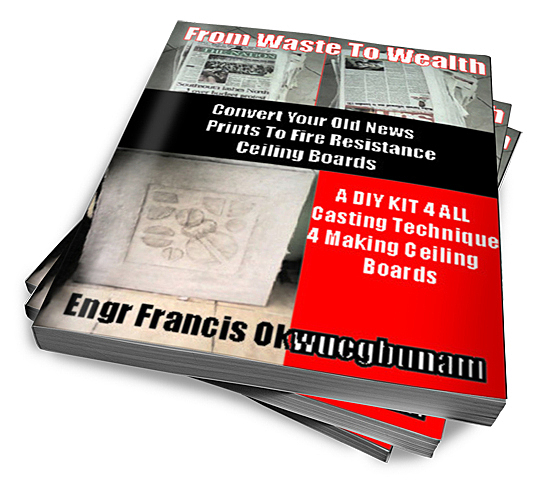 This Ebook is a do-it-yourself work that enables you to build your own fire resistance high quality ceiling board ceiling boards with simple raw materials such as cement, old newspapers, paint and water. You will be reducing the cost of your building materils by 10%. The book is easy to follow steps with pictures that shows you what to do. It also outline market strategies to sell your ceiling board. The startup capital to do this business is equally very low.